As the summer draws in and the temperatures rise, especially in Long Island, it is inevitable that pets and pet owners will want to get out and enjoy the warmer weather and longer days. However, critters like ticks and fleas, which feed on the blood of pets like cats and dogs, will also become more and more of a problem. In fact, one of the most common conditions I treat in the summer months is itchy skin and miserable pets due to flea and tick infestations, and even flea allergies. This is because pets are particularly prone to attack by ticks and fleas because their fur is soft and warm, and thus provides the ideal environment for these pests. Fleas, in particular, prefer warm climates and thus love being ensconced in fur. Ticks also like warm climates but can survive in near-freezing conditions. As a result, ticks are much hardier and therefore much harder to kill than fleas. While fleas and ticks are certainly a nuisance, it’s refreshing for holistic-minded pet parents like you to know that you have holistic and medicinal options—both in preventive measures and post-exposure treatment—that can keep your pets (and your home) pest-and irritant-free. Although ticks and fleas are from two different families, with fleas being six-legged winged insects and ticks being eight-legged arachnids, they both feed on the blood of pets and can cause health problems. The health problems that result from flea and tick attacks can range from minor allergic reactions, causing pets to sniffle and sneeze, to the extremely irritating “constant itch” to more serious health problems, including, but not limited to, tick-borne diseases like Lyme disease. A scary prospect is that both fleas and ticks can live for a very long time on their hosts. 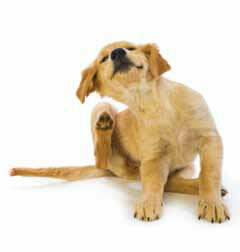 Fleas can survive for up to 100 days, while ticks, when in ideal conditions, can survive for up to three years. During this time, many eggs can be laid, and thus a flea or tick infestation can manifest. This is not only potentially harmful for the pet, but can result in flea and tick infestations spreading to homes and infecting humans. As a result, it is essential that all pets are treated to prevent tick and flea attack. The first line of defense against these parasites is to treat all dogs and cats in a household with a flea and tick control product. This form of protection is typically topical and can help to prevent against tick and flea attack by killing all stages of the tick and by killing adult fleas, as well as their eggs and larvae. The topical protection product is usually available from veterinarians. and Advanced Animal Care Center is thrilled to offer holistic-minded pet parents a safe and effective alternative rooted in Traditional Chinese Veterinary Medicine (TCVM). When an alternative approach like this is preferred, visit your local TCVM clinic or integrative veterinarian to discuss your options. Whichever preventive treatment option is chosen, it is important that pet owners are consistent with the applications. This is because even one missed dosage of tick and flea control medication can result in an infestation that may take weeks, or even months, to fix and may even put the pet at a higher risk of exposure to disease. Therefore, pet owners must realize that consistency is key and apply the monthly applications throughout the summer months and continue doing so until the ground in their area is frozen. As soon as the freeze thaws—even for an unseasonably warm week in New York—preventive measures need to begin again. Pet owners can also reduce the risk of flea and tick attack by working on the safety of their gardens. For example, flea and tick traps can be easily and cheaply erected to capture the critters and thus prevent them from biting and harming pets. An alternative method of reducing the risk of attack is for pet owners to use sprays and/or household foggers that have been specially formulated to kill adult fleas and ticks as well as their eggs. These household products are usually available at veterinary offices. If you—like many of my pet parents—are concerned about any of the ingredients in these products, you can also use food-grade diatomaceous earth dust to kill any insect with an exoskeleton lurking in your carpet or home. It is also important that pet owners have good post-exposure diagnostic and treatment options on hand, because even with diligent preventive measures, there is always a chance that fleas and ticks will strike when pets and their owners least expect it. 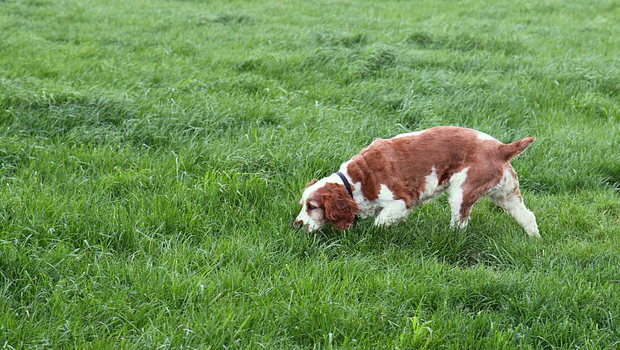 Fleas and ticks both can transmit disease. Your pet should be screened regularly for the diseases these parasites transmit as well as after potential exposure. Diagnostics should include tests for intestinal parasites (i.e. tapeworms) as well as diseases like Lyme disease, ehrlichiosis and anaplasmosis. Treatment options can be in the form of either pharmaceutical drug medications, or more natural and herbal remedies. Post-exposure treatments vary in their makeup but all aim to get rid of the fleas and ticks, and TCVM treatments also aim to help strengthen and balance the body to help improve the immune system’s protective functions. As a nation of pet lovers, it is really important that the risks of ticks and fleas are realized this summer in order to keep dogs and cats healthy and happy. Pet owners should consider preventive measures, as well as post-exposure treatment options, and should conduct research in order to find the best options available. Once found, the products should be kept close at hand to ensure the safety and well-being of our nation’s pets. If pet owners have any questions or concerns about fleas or ticks this summer, then they should seek the help and advice of their trusted veterinarian. To learn more about the diseases that fleas and ticks transmit, you can set up an email/phone consultation at Advanced-CareForPets.com/consultations.html. 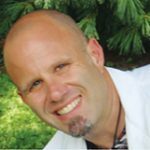 Dr. Michel Selmer is a Certified Veterinary Acupuncturist and is currently pursuing a master’s degree to become a master practitioner of Traditional Chinese Veterinary Medicine. 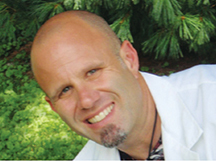 His practice, Advanced Animal Care Center, is located at 260 Evergreen Ave., South Huntington. For more information or to make an appointment, call 631-FOR-PETS (367-7387) or visit Advanced-CareForPets.com.